Apple’s iPhone 6 is gradually turning into a personal fitness manager for now it will be monitoring how far have you walked on a particular day and how much has been your caffeine intake. It will even complain to your doctor if you are not taking enough exercise. The latest version also includes blood pressure, temperature and pulse monitoring features. ‘How are you’ will now have a definite answer. 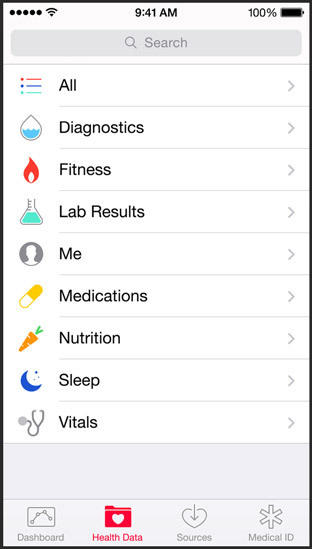 The Health app called the Health Kit will utilize the iPhone’s own M7 motion tracking hardware for collecting data. It will also be able to share the data with a user’s fitness software. This means that the family doctor can always remain updated on his patients’ routine and health condition. 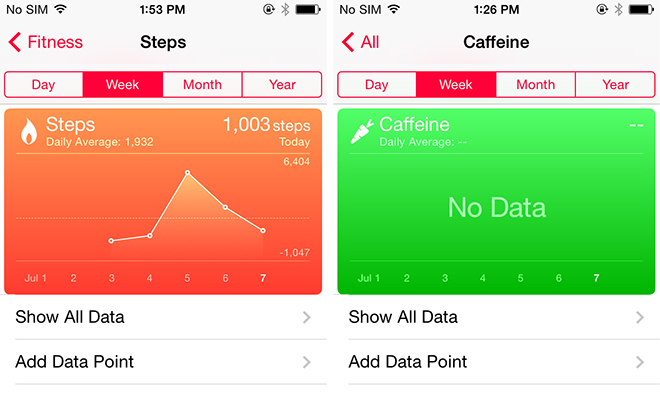 The app has a steps counter tab which will be able to collect steps data without connecting to any other applications. The data can also be shared with other apps. This would be extremely beneficial because step tracking is very important for fitness tracking. Furthermore, users will be able to monitor their caffeine intake. It is unknown yet that how will they do this but it implies that a third-party can access their data in order to diagnose a possible health problem. The app has sections even for heart rate, hydration, physical activity, nutrition, blood sugar, sleep, respiratory rate, oxygen saturation, and weight. 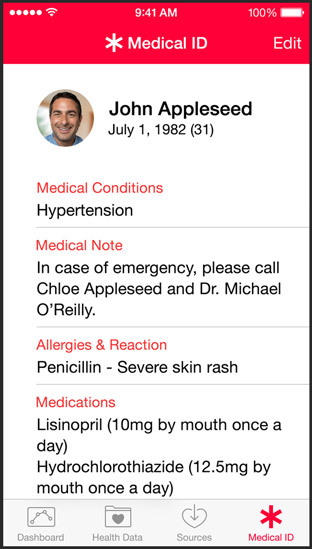 If vital signs approach dangerous levels, the app can send an automatic alert to the doctor.